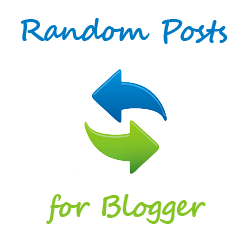 The Random Posts Gadget will display a list of Random Posts(from your blog) on your Blog’s Sidebar. The Gadget has an options panel and can be configured to meet your needs. The Gadget inherits styles from your Blog. But you can override the colors if you want(this was done to support third party templates which doesn’t have the skin variables properly designed). Maximum Length of Post Title – Your post titles can be too long. In that case you can limit the title to x number of characters using this parameter. Snippet Style – You can display the snippet with Post Summary, Post Thumbnail , or both or none. Feed – The default Option “Summary Feed” will scan your post summary feed. This is the faster and efficient option and i would advise you to opt this one. If you choose “Full Feed” , the gadget will be slower but you will get YouTube Thumbnails also. Note:- If you want to grab the images or YouTube thumbnails, then you should have “Site Feeds” set to Full. If you opt for the Media Thumbnail only, then the short feed will be used by default. Post Meta Style – You can display the Post Date, Comment Count and a Read More Link.You can choose any combination of these three. Font and Font Size– By Default, the container’s font and Font Size is inherited into the Gadget. But if you are using a 3rd party template, then these might not be properly inherited. In that case you can use this Option to over ride these parameters. Extra Styling – Allows you to specify the position of the Thumbnail, and whether to underline the links or not. Link Color and Text Color – By default , the colors will be inherited from your Blog. If you want to override this , you can choose one out of the 140 different colors. Check out the Demo and Sample Configurations to see what the Gadget can do. I used your recent posts with thumbnails widget when i was on blogger and that was my favorite widget . I installed random posts widget in one of my test blogs so far every thing is good . Will definitely inform you if i come across any bug . Thank you very much for this! thank you very useful widget for me. thank you very very much. Thanks, great widget! The previous ones I've tried were too slow. Hi, thanks for sharing but I think I need help since this widget is just not working for the Mahusay theme (it works for the others). I would definitely appreciate it if anyone can help me out, thanks. In addition to this, the Mahusay theme also has the same problem with related-posts-thumbnails-blogger-widget. Wow. this widget has so many options to work with to tailor made what you display on the blog. Good one. I stop using most popular blog post widget done by blogger as it dose not have a way to control the number of posts I display. @TUTSVNN.TK - i can try to help if you have added the gadget on some blog having that theme. Great. Just did it. Thanks once again. @Aneesh: thanks. I am using that theme for my blog tutsvnn.tk, could you please help? Have a nice day. @Aneesh: update: I installed this widget yesterday and then uninstalled it an retried since it was not working as it should (not showing thumb). Now it's even worse, I've just reinstalled it and it's not showing anything. This widget is not in the Blog View nor in Page Elements (I saw it in html edit, so I actually added it, but it disappears somehow). @TUTSVNN.TK - you have set the site feeds to "Short" and not to "Full"(in your Blog Settings) . If the feeds are set to "short", then the gadget can only grab the Media Thumbnails and not the other images. Its not an error with the template or the Gadget. @Aneesh: this is another update: I have now managed to make the widget showed (just open html edit and move the widget to somewhere next to a visible widget). But the problem remains: no thumb (you can see it in the right column of my blog). However now I have to confess that it's not a problem of the ORIGINAL Mahusay theme (I load the original one and the widget works). I have changed the theme towards my purpose and that causes the problem. What should I do? @Aneesh: you are absolutely right, I changed the feed to full and this works. You are the best man, thanks so much. I love your blog and have added it to the list of sites that I recommend to my friends. Best wishes and have a nice day. @Aneesh: I have another problem, this widget seems not working in iExplorer (and so do the related posts). Could you please give us a fix? Thanks. I have translated your post into Vietnamese to help those who don't speak English, hope you don't mind. Amazing widget, best one I've seen so far, thank you so much for this. very nice widget , thankx a lot..
i want know to creare a random post with Thumbnails, but for my blog i want only Thumbnails without title of post, and i want size to widget is lenht 400 px and height 100 px, is possible? i want widget in horzontal. @Admin - see config 2 on the Demo Blog. it does not work with Light box. This is what I wanted for a long long time. Keep up the great work. It would be kind if you could also tell how this can be configured in one of the blogpost static pages. Right now I have managed with a widget right below the post body and some if else conditions to display it only on one of the pages. @Vyankatesh - you are welcome :). The widget works but it's not picking up my styles properly. I don't know if that's because of my template or what. Some more guidance on custom styling the widget would be appreciated, specifically custom colours and custom borders (e.g. border styles), as well as padding. Thanks. @Sylvia - you can customize the colors of the text, links and the border.Padding and Other CSS stuff are not supported. If the gadget is not inheriting the colors properly, then find out the color that best matches your template. Visit this link and find out the appropriate colors http://www.w3schools.com/html/html_colornames.asp . You will find all of these 140 colors in the Gadget Options. Awesome widget! Last night falling asleep I was thinking I need some random post gadget and here it is! Thanks!! @Sylvia - Gadgets developed using the Gadget API would fail if the user types in long inputs. Thats why the CSS option was not included. And thats why the colors were given in the Drop down instead of a text field. Hey Aneesh, How to manage Margin between the links? There is no gapping between the link. How to do it?? how to change the thumbnail size? This widget is great, but I really appreciate the possibility to have a larger Thumbnail up to 200px and to fix it in the center. Just wanted to say that I am new to using Blogger, even though I am a seasoned Web Designer & Developer and your site has been EXTREMELY helpful for dealing with the learning curve (with the code) on Blogger. I appreciate you taking the time to contribute great articles. I was wondering if there was ANY way that you could tell this widget to pull from blog posts with a SPECIFIC label from which you set? When you click a link in this gadget, the loading page doesn't show the adsense ads. Love this widget, thanks!! but I set my posts number to 3 and only 1 thumbnail will show up. Tried changing settings and even looked at the tutorial...still only 1 thumbnail. Help?? I would like to choose specific posts to show. Is this possible with recent posts or random posts gadget? Fantastic widget! Thanks so much!! I have waited for this widget for a long time. Didn't work for me. It's just not picking up the styles properly from the sidebar container. I tried playing around with the settings for a long time, but couldn't make them match with the other link lists in my sidebar! And that's when I'm still using the classic lighthouse template of blogger! It is so perfect. And it was so mature of you to put "Show/Hide Powered By"
Great widget, implemented so well in my blog. Thanks. Just love this widget! Thanks a million. hello,i was trying to do this on my blog nothing seems to be working,please help..
Used your widget, super love it! You are the best! My heartfelt thanks! El problema que tengo es que no se ve en internet explorer, ¿hay alguna solucion?. Gracias. The problem that I have is that one does not see in Internet explorer, there is some solution?. Thank you. great Widget indeed and i would love to install it but when i publish it there is always this remark for admin...upps where i did get wrong? Any help available? ...but I cannot see snippet thumbnail option. Why? It's a great widget! But, as someone says, when you click in the random links, the widget kills the adsense in the interior of the posts. A fix for this, please? @Jamie - Every gadget made using the Gadget API will have this problem. I had reported this to the Blogger and Adsense Teams but nothing interesting has happened so far. I can't do anything about it and i hope that they will fix it soon. thanks for that.so much.i m blogger in myanmar.i like u r bg.so cute. i really love it, and have apply it on my blog..
but, can you make it horizontal?? or, is there any way to make this plugin become horizontal like plugin by Li*kwith*n?? Thank you very much. I've been searching several randon post widgets and this is by far the more easy to install and set up. I love your blog and I have got some interesting widgets from your place for my blog. I need some help from you, i want that "Add to blogger " button. Can you explain me how do you use it! Hi love this widget, but is there a way to center the title and image? Thanks! Hi! Great widget! But I´m with Monique...I only have Thumbnails is there a way to center the image in the widget? hey its a nice widget, but am unable to configure the size of the text - its just too big compared to the rest of the text on my blog and looks very odd. Firstly I love what you've done here, secondly I'm a little frustrated about not being able to choose colors by hex. Thirdly if you were to ever improve this widget, my first recommendation would be the ability to pull random posts from a specific tag or label, that would be amazing! @Aneesh, Thanks for this helpful widget, is there a way to get the list to disply horizontally underneath my posts rather than as a vertical list? I would like to make a suggestion, which in my opinion would enhance this widget greatly. Could you create an RSS Feed from this list that is configurable? The number of these random posts to write to the RSS Feed must be configurable from 1 to the number selected to display by this widget. The reason for this is that currently there is no way of randomly selecting a post from previously written posts and then adding it to a feed that eventually could be posted on Twitter as a random post from a blog writer's blog. This way, previous blog posts could be kept alive among a person's followers, whether it is sent on Twitter, or followed in a Feed Reader of some sort. wonderful! i've been looking for this widget. i found another version but not working but this one truly rock! This widget worked fine in my blog and I'm thankful! Thanks a lot for such a nice widget I put it in my blog ,It is looking very nice and showing random post not recent post or any feed if you have site or blog you must put it,if want to see demo you can see my blog usagamezone.blogspot.com at right sidebar looking very good, thanks again. but if i remove the code of the Light Box from main HTML, Random Post Widget works again! how can i solve this problem? Aneesh, thank you so much for all your work. It is the third widget of your I have embeded in my blog : recent, related and comments. Not the right way to do this, but it works. You keep talking about options, method 2 but I don't see a link in your post. any idea ? As I said, I have embeded three of your widgets on my we. I removed the "powered by", and put a credit in my footer. Hi! I'm using "The Blog" XML template and I'm having too, the same problem: the thumbnails are not showing as well as the total number of posts is limited only to 15 (I've configured to 20). I have followed all thw instructions and advices in the previous posts but nothing. Is there a solution to this or a way to edit the widget? Is there a way to display 10 random posts on the homepage of my blogger blog and 5 on an item page ? For me it is the best widget for random post. Great Work. If u have a Button Blog I put in my blog. Hi, i want to use this widget on a message to create a gallery of thumbnail. I have few issues here .. But before that , i want to thank you for such a great widget.. thanks .. 3. )Is there a way to randomize the post ?that would be a great thing..
@Skoar - you have installed the recent posts gadget and not the random posts one. 3)This gadget shows random posts. Take an A instead of an A+! Trivial, you say? Au contraire, mon frere! keeping readers transfixed by the beauty of the piece! So, what's amiss, you say? Very readable because of the WHITE SPACE! you would be transfixed at your own new creation! display of the random post list. blank line instead of a border. and that's what you want for the reading of any blog. like you" and you just got it! Keep up the good work and have a great day! Thanks for the great widget. The only problem I've had is that the Firefox NoScript AddOn displays a ClearClick warning (image of it happening on my blog here). I notice there's no difference between the (partial) obstructed and clear views in the ClearClick dialog, but still it does look a little scary so I thought I'd report it. Hello. I also can't see the widget working in IE. Any solution? Great widget ... that suddenly stopped working today. Anyone else? thanks for this great gadget...! it helped my blog looked organized! PS: can i add more than 15 posts? i set 22 to the number of posts to display but only 15 show up. Why the limit for de post is 15 , I want to show 27 pictures but a write 27 and save the widget, but only works with 15 posts?'? is it illegal to turn off the powered? it doesnt that i didnt respect the powerer, but the placement is just not fit it. This does not work for Internet Explorer as others have said. Hi, I tried to use it in my blog but I only got text instead of thumbnails. I removed & re-installed it but got the same result. I'm using Firefox. I don't know what I'm doing wrong. Thanks. even your demos didn't load in both firefox and ie. guess your server is down today coz it was still ok yesterday. geez, i'm still experimenting with different settings :P. this widget is real cool! like it very much but juz hope server doesnt go down too often though. btw, will be even better if u can "marquee" it. juz simple up/down/left/right options can make it look so pro on our blogs :D hehe! How to show links to Today's Post, Yesterday' Post, Last 7 day's Post, Last 30 day's post in home page of my blog http://rozirojgar.blogspot.com. Did you have a hack by which we don't need to update those links daily and successfully implement it on a blogger blog. I am probably way too tired and there is an easy explanation for this. How can I style this widget to go horizontal rather than vertical? Help from anyone is greatly appreciated. It is awesome widget. thank you for this widget for Celebrities Juice. it is a very useful widget but i found one serious problem with it. when we click on the link from this widget the adsense ads automatically will hide frim the blog and sho only blank space. please check it and let me know otherwise i have to remove this widget from my blog becuase i am loosing revenue. Very cool widget, EXACTLY what I was looking for! Thanks!! Thank you! I got it. Thank you. It is very useful! This widget does not work on my blog, the only thing that shows is a white box, please help me! Nice widget :) Thanks a lot!. But am having a problem with it in IE8. It does not show any posts in IE8. Could you please suggest a solution. Thanks for the help in advance. Very good Widget!! It is very useful! Thanks a lot. this is what i've looking for so long..
Nice widget except for the fact it doesn't show thumbnails correctly. I have read all the info provided here and can't find any answers. (No one replies to email questions) I have configured the number of posts to display many times over, trying different settings. The result is always the same. sometimes it only shows 1 thumbnail, sometimes 2, sometimes 3...totally random. It is suppose to show 6. I even re-installed but same problem. I see others here are having same problem. It just isn't showing thumbs correctly. @Mary in Oregon- whats your blog url?. It can happen if you don't use the blogger editor to upload your images to posts. btw sorry for missing out your emails. This was amazing, But it stopped working, I posted it on all my sites one of them the "main one" is http://www.tek-bull.com underneath my "tek-bull" logo and on the right pannel under "featured" stories it worked great until this morning and is no longer displaying any stories and thumbnails. Is this due to my site? or is it a problem with the widget, it went down on every site I own. @Aneesh - this widget is fantastic. I mean it was because it stopped working today morning. Can you check what could happen? Thanks a lot for your help. http://mariuszsadurski.blogspot.com/ - the widget is called at my website "Warto przeczytac". The same problem, it stopped working on all my sites. Please help! very good tool, has helped me a lot, but stopped working today? Ruben: It has worked fine 'til yesterday, this widget stopped working today on all my sites, and anothers Widgets like Readers, Recent Comments have stopped working too. Random and Recent Posts gadgets not working. I checked it today and Voila! like magic it was working again today. It is most likely irrelevant but the only thing I did recently was re-install Java to resolve an issue I had elsewhere. I am using recent & random posts widget. Also I have a blogger blog with a custom domain name. I really like these widgets, but for some reason they don't work on every page all the time. They usually work, but then sometimes they don't. They may work on the home page, but won't work on the others. What could be the problem. The gadget doesn't seem to work on IE9 for the past 2 days !? Fun little widget but is there a way to make it omit certain posts? I've had my home-page pop up randomly a few times so being able to block it would be great. 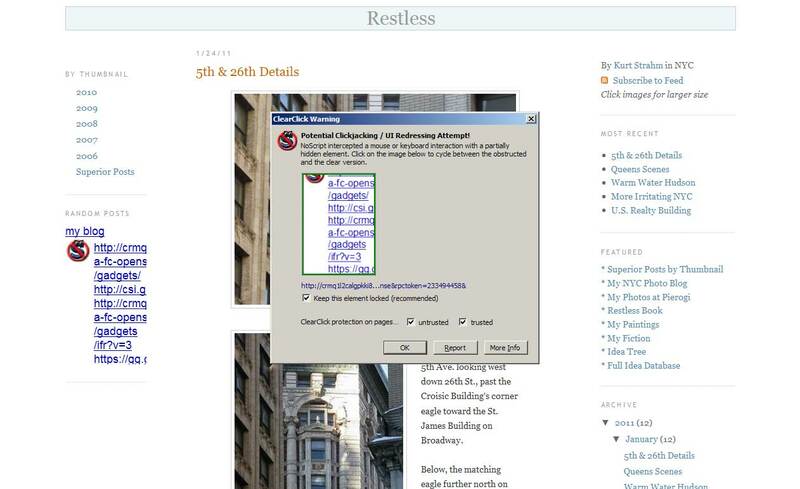 Random Posts, Comments, and Blogger Twitter gadgets not working in ie9. Thanks :).... it's a great widget. But how can i configure it for a right to left (persian) website? Great widget! Is there any way to increase the thumbnail dimensions? Seems to have stopped working? I've noticed that your demos are also not working at the moment. It took me a little finessing, but with the options you have in the widget this has proven to be a great addition to my blog! Thanks. how about image no float? Good widget but how about doing a version where it ignores posts with a certain keyword? Then all the posts you don't want being randomly generated (such as the one you've designated as a homepage) could be omitted. I have some posts I don't want to show in this gadget. When will be update? It has stopped working on my blog today? I've noticed other bloggers have complained that some gagdets are not working either? hey bro it has stopped working !! please fix it. first of all correct your post a comment line because here is something wrong like "just anything but not spam"
Why "My Summary Length" cannot show in max ( 60 ) post..? where problem, Thanks. who get fresh updates from Blogger Plugins!